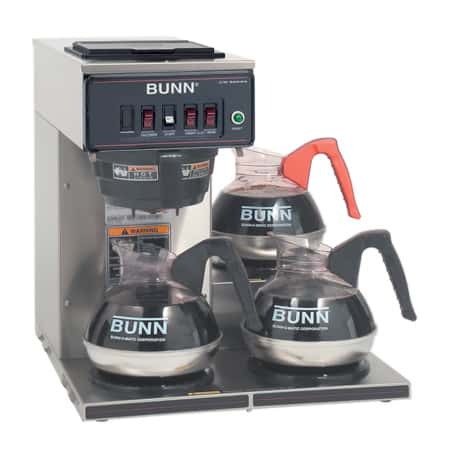 The BUNN FMD BLK Instant Cappuccino Machine is one of the best-selling instant cappuccino machines of all time. The push button dispensing buttons keep things simple. For variety, choose from 1, 2, or 3 hoppers. This item qualifies for FREE SHIPPING. 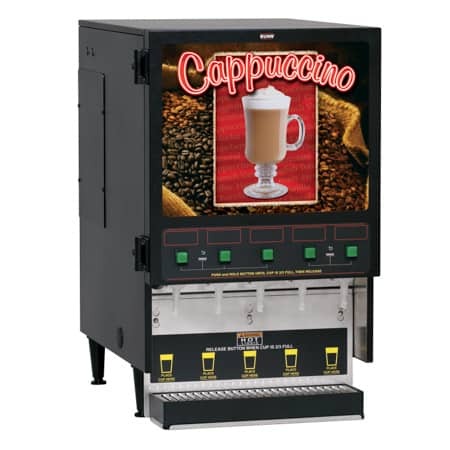 The BUNN FMD BLK Instant Cappuccino Machine is simple to operate, makes perfectly-frothed hot cappuccino drinks, and is dependable enough to last for years. For your convenience, a separate water line is required to ensure a constant supply of hot water. 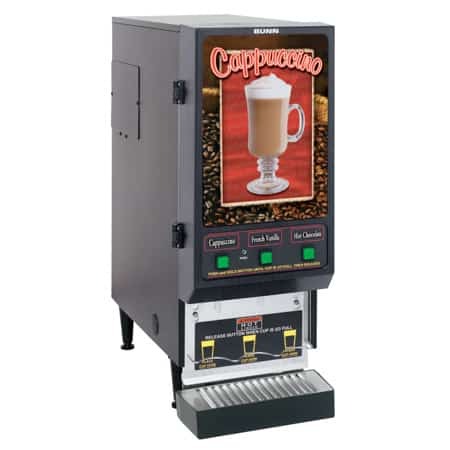 Your machine will be ready to make a nice hot cup of cappuccino at any moment. Operation of your FMD is simple. Just open the front door to access the 3 hoppers and add mix. To make a drink, just hold a cup under the dispensing spout and press the button. Let go of the button when the cup is full. 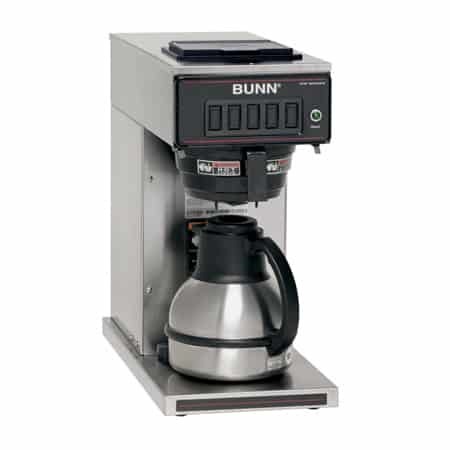 Daily maintenance and cleaning of the BUNN Cappuccino Machine takes less than 5 minutes. The large, lit graphics on the front panel are attractive and draw customers to the product. The machine can be self-serve or worker-operated. 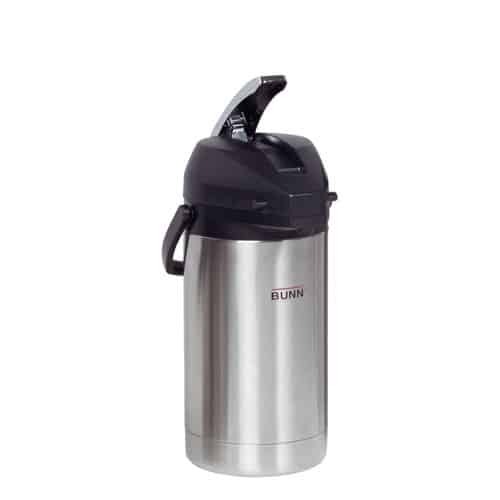 The clearance above the stainless steel drip tray is high enough to accommodate a 20 oz. cup.